Glass balustrade for your balcony- Why? Glass balustrades, both the frameless style and the semi-frameless one, can offer a visual appeal to your home that you did not think was possible. With the growing interest in using outside space as a means of extending indoor living, glass balustrades make the perfect choice for so many reasons. Unobstructed view: Unlike other types of traditional fencings, glass balustrades offer an uninterrupted view of your surroundings. The frameless glass will provide you with a crystal clear view that you can truly enjoy. Safety concerns: When it comes to safety, you would think glass would be low down on the list; after all, it can shatter into thousands of sharp, tiny fragments, right? Wrong. It’s quite the contrary actually. The glass panels used in a balustrade are both toughened and tempered. At SN Fencing, all of our panels are reinforced in order to make them shatterproof in case they are subjected to high impact. Easy maintenance: Glass balustrades are surprisingly easy to maintain and demands very little time and effort to keep looking good and flawless. Aesthetic: Glass is one material which is known to add a sophisticated and elegant touch to the house or business. This specific type of safety barrier looks outstanding in balconies and outdoor areas, also works well alongside staircases or at mezzanine levels. It suits most housing decors, lending themselves particularly well to modern interiors. Added feeling of space: Another major reason why glass balustrades are so popular these days because this element actually helps to create an illusion of more space. With glass balustrade installed in the stairs, elevated areas, or as a glass shower screen or glass door or around your pool area, you can enjoy it as a transparent border. Allows light: For it is transparent, light can easily pass through the glass balustrade and help create the illusion of a well-lit space. 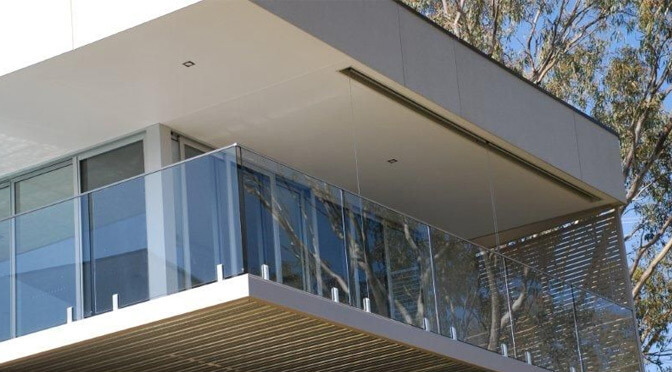 At SN Fencing, you will find the highest quality glass balustrades in Melbourne. You will also find the largest variety, with everything from traditional, semi-framed, and frameless glass balustrades being available. Call SN Fencing today to get started on the glass balustrade of your dreams.